Their arrangement on this already beautiful song is putting everyone in the Christmas spirit with their unique style a cappella style. 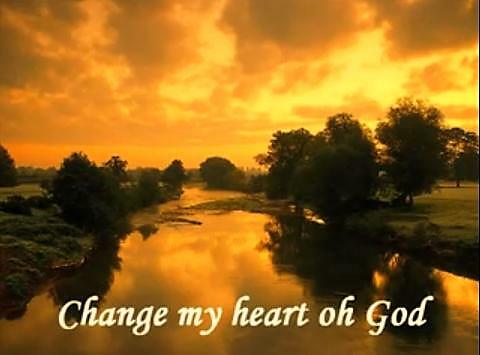 This song was originally written in 1984 by Mark Lowry and has been redone by many artists. No doubt, this version will become a favorite of many! A couple says “I do” and pledges to journey together in sickness and health. A judge signs the adoption papers and a new family is formed. A firm handshake seals the deal that launches a budding business venture. No matter the means, entering into a relationship implies commitment, trust and hope for a shared future. The Israelites are three months into their wilderness journey. God has been present along the way, leading them by pillars of cloud and fire, sending manna and quail for nourishment. Now God instructs Moses to explicitly tell the people, “You shall be my treasured possession … a holy nation.” God clearly desires a more personal connection, complete with commitment, trust and hope for a shared future. God’s words are an invitation into a deeper relationship. This season, God invites us to come closer—closer to the Word, closer to God’s heart. 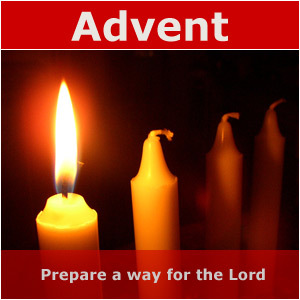 “O Lord, how shall we meet you?” asks the Advent hymn. We might start by accepting the invitation. Prayer: O God, you call us into a relationship with you that will transform us from the inside out. Prepare our hearts to receive you, so that we might be surprised, comforted and changed by your presence. Amen. UMW Paddle Party – A Huge Success! 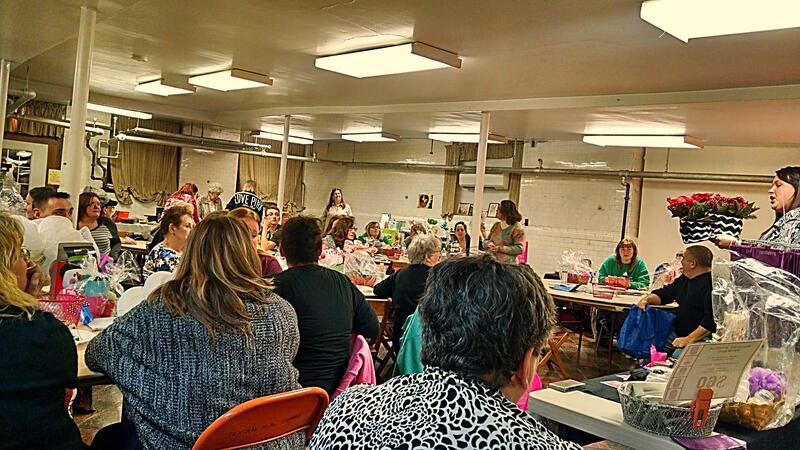 The United Methodist Women’s Paddle Party tonight was a huge success, with a good time enjoyed by all who attended, and a tidy sum collected for the UMW’s mission pledge. If you didn’t have a chance to attend this one, keep your eyes on the lookout for the UMW’s next event! Of all Paul’s letters in the New Testament, 2 Corinthians was probably hardest to write. It’s certainly the most intensely personal. Because false teachers were attacking him, Paul felt compelled to spend half of the letter (chapters 3–7) reviewing his ministry and listing his credentials to demonstrate the validity of his message. In the process, we glimpse what motivated him to unreservedly pour his life into a pitched battle for hearts and minds. What happens when a person becomes a Christian, according to verses 17-18a? How is this different from reeducation, reformation, or rehabilitation? Why might some of the Corinthian believers have wondered if Paul was unbalanced (v. 13)? Might verse 16 be describing how Paul’s critics in Corinth were evaluating him? To what extent have you died to the old life you used to live (v. 14b)? To what extent are you still living to please yourself (v. 15)? What would it take to have your actions motivated and regulated by Christ’s love (14a)? Spend Time in Prayer: Ask God to complete His work of making you a new person: uninhibited by what the world thinks about you, passionate about pleasing Christ. 11 It is because we know this solemn fear of the Lord that we work so hard to persuade others. God knows we are sincere, and I hope you know this, too. 13 If it seems that we are crazy, it is to bring glory to God. And if we are in our right minds, it is for your benefit. 14 Whatever we do, it is because Christ’s love controls us. [a] Since we believe that Christ died for everyone, we also believe that we have all died to the old life we used to live. 15 He died for everyone so that those who receive his new life will no longer live to please themselves. Instead, they will live to please Christ, who died and was raised for them. 16 So we have stopped evaluating others by what the world thinks about them. Once I mistakenly thought of Christ that way, as though he were merely a human being. How differently I think about him now! 17 What this means is that those who become Christians become new persons. They are not the same anymore, for the old life is gone. A new life has begun! 18 All this newness of life is from God, who brought us back to himself through what Christ did. And God has given us the task of reconciling people to him. Prayer for the Week: Lord, I want to fully follow You, even when it’s controversial or risky. Please give me the grit it takes. My Response: What “no’s” must I declare if I’m to be fully available to my Lord? We moved to Bombay. The people were drawn to our radical message about discipleship, forsaking all, world missions, and prayer. We partnered with the church in India, our work exploded, and I got kicked out of the country. So we moved to Katmandu, Nepal, because there the people of India could come to us without a visa. Driving old trucks back and forth across Europe and Asia wasn’t working well. As I prayed about this and looked at the globe, I was struck with how much water there is on the earth’s surface. Then it came to me. We need a ship! Six long years later, our first ship, the 2,319–ton Logos I, set sail from England to India. Later, we acquired a second, larger ship (the Doulos), and they became floating bookstores and literature centers, as well as launching pads for short–term missions. My Response: What could I ask God to achieve through me? Imagine Jesus from Mary’s point of view—proud of her son, in awe of his gifts and mission, guided by love for him as a person and so much more. In this book, Adam Hamilton begins at the end, with Mary at the crucifixion and resurrection; travels back in time as she witnesses his life and ministry; and ends at the beginning, with the Christ child born in a stable, Mary’s beautiful baby. This year, experience Advent and Christmas with Mary. 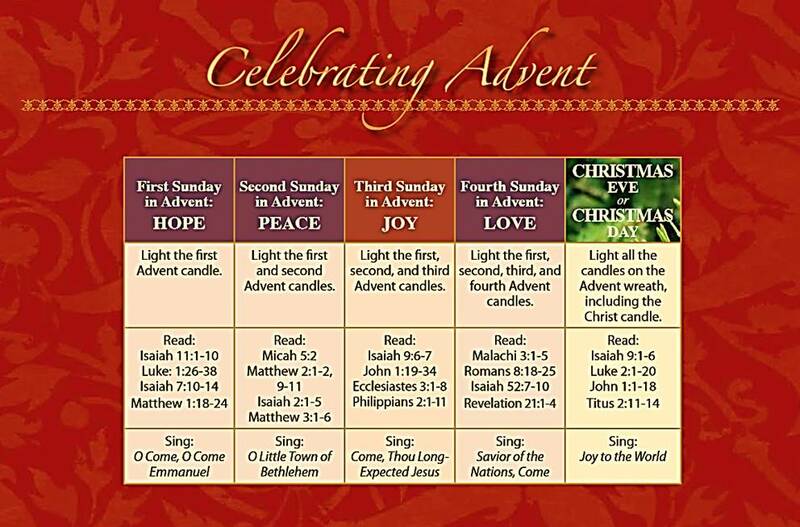 Join us at 10 am each Sunday of Advent! After my 1955 conversion at a Billy Graham meeting in New York City, I dove headfirst into any opportunity to share the gospel. I got a chance to speak to the entire student body of my high school, and used it to talk about Jesus. I shared my faith door to door. I organized rallies—600 people came to one of them, and 125 stood up to make decisions for Christ (including my own father). In 1957 I arranged to get people to the Billy Graham crusade, literally by the busload. But I didn’t attend the crusade myself. Since every seat was taken, I wouldn’t take a seat that could be occupied by a non-Christian. So, while Billy preached in Madison Square Garden, I preached in the streets of New York. 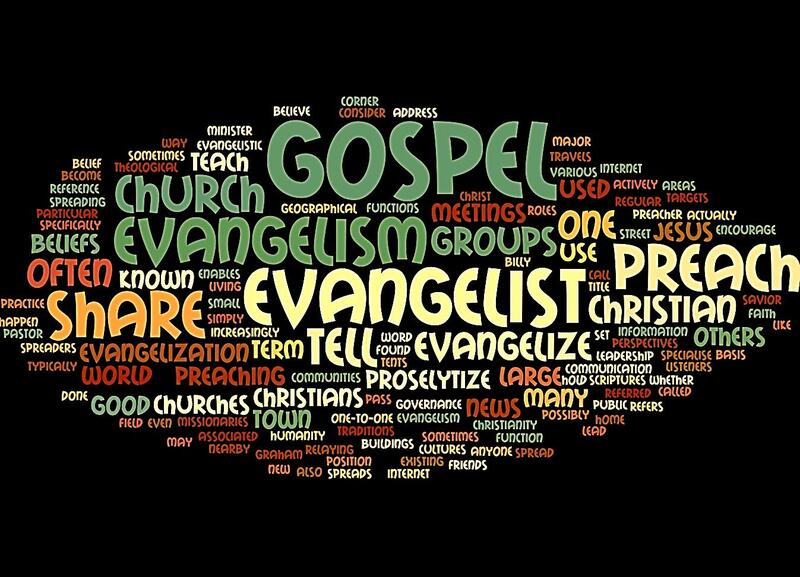 My Response: How enthusiastic am I about the gospel? Support the ministries of United Methodist Communications with generous contributions on #GivingTuesday! Giving Tuesday is part of an international movement to extend the spirit of giving thanks into the Advent season. It offers an opportunity to start off the holiday season by giving instead of getting, by supporting organizations that are transforming the world. Support ICT4D, (Information & Communications Technology for Development). Those of us with unlimited access to technology may have little imagination for its potential to enhance the well-being of millions around the globe. A clear message sent the right way can reach people where they are, and save lives. United Methodist Communications ICT4D Church Initiatives helps make this happen in the developing regions of the world. During the Ebola crisis, hundreds have been reached by text messaging in Liberia and Sierra Leone with prevention messages and words of encouragement. Solar cellphone chargers with hand-crank radios and lights help keep loved ones connected and clergy knowledgeable so they keep others informed. UMCom’s ICT4D Church Initiatives is equipping churches to undertake projects like providing computers to a school or creating a community access center. We’re facilitating relationships and guiding groups through the process of supplying equipment appropriate for a rugged environment. And we believe that even one person can make a difference. When you give a solar light bulb, donate a cell phone charger, offer your old phone or volunteer to provide computer training abroad, you improve communities and transform lives. To learn more about this life-saving initiative go to umcom.org/ict4doverview. Support ICT4D Church Initiatives now so those most in need of a word of hope can be reached. Donate at umcom.org/ict4dchurchinitiative. Support Imagine No Malaria, the extraordinary effort by the people of The United Methodist Church to eliminate malaria and other diseases of poverty. With over $65 million raised to date, we are incredibly close to our goal of raising $75 million by General Conference 2016. It doesn’t matter which side of town you live on when you come into the family of God. And by using biblical principles, the church can promote social justice. A young man in our church stole $1,500 from his employer. After being apprehended, he was sentenced to three years in prison. We shared with the judge the biblical principle of restitution. We explained how this young man would cost the taxpayers over $18,000 annually for a $1,500 crime—which wouldn’t pay back the victim and only place this kid in an environment where he’d simply learn how to become a better criminal. We challenged the judge to turn the young man over to our church. We’d get him a job, garnishee his wages, paying back his former employer with interest. We’d also give him a responsible male mentor to hold him accountable, rebuild this young man’s value system, and show him a brand-new person in six months. The judge consented. We did all we promised and brought back a brand-new young man. The judge asked if we’d take twenty more! Today that young man is a dynamic part of our church with a family of his own. —Tony Evans in What a Way to Live! My Response: Am I willing to help guide into restoration someone who succumbs to sin? Prayer for the Week: Lord Jesus, I tend to cold-shoulder those You reach out to with compassion. Please change my heart. 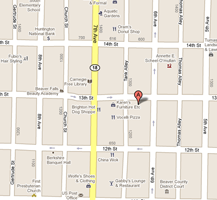 One of my favorite churches is The Gospel House south of Cleveland, Ohio. It was started by Bob Sepkovich, who at the time had an effective ministry in local and state jail systems. When men who came to the Lord in prison were released, he encouraged them to go to a local church where they could be accountable and involved. Unfortunately, the welcome mat was rarely rolled out for these ex–cons. So he started his own church for these men. Today The Gospel House is a growing, energetic church with people from all walks of life. Executives, former prostitutes, policemen, convicted felons all worship and work for Jesus. It’s wonderfully like the early church. It’s the way the church should be if we’re to make a statement about the welcoming arms of Jesus and the breadth of His love and grace. The last time I attended the Gospel House, a gnarled, thin woman with disfigured limbs stood in the front row of the choir next to a totally blind woman. What impressed me was the energy with which these two sang and the joy on their faces. It made me wonder why more disabled people aren’t active in most churches. My Response: What group in my community might feel the welcome mat isn’t out for them? Ebola is unlikely to present a serious threat to countries that have strong health care. Media coverage and misinformation has led to unnecessary fear and, in some cases, panic. This outbreak surely deserves media attention, but the primary concern should be for our African neighbors. As followers of Jesus we are called to respond not from fear but from a heart of compassion through prayer, giving of resources, and promoting education about Ebola. Ebola has infected more than 10,000 people in West Africa, leaving nearly 5,000 dead. 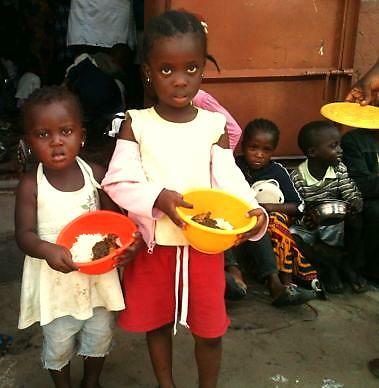 This most recent outbreak began in Guinea from a two-year-old boy who may have handled or eaten bad meat. The boy died and the disease spread to his family and nearby villages. Symptoms include fever, muscle aches, headache, sore throat, diarrhea, vomiting, and a rash leading to internal bleeding; it is only contagious through contact of bodily fluids; it is not airborne. At this time, there is no available cure or vaccine for this disease. 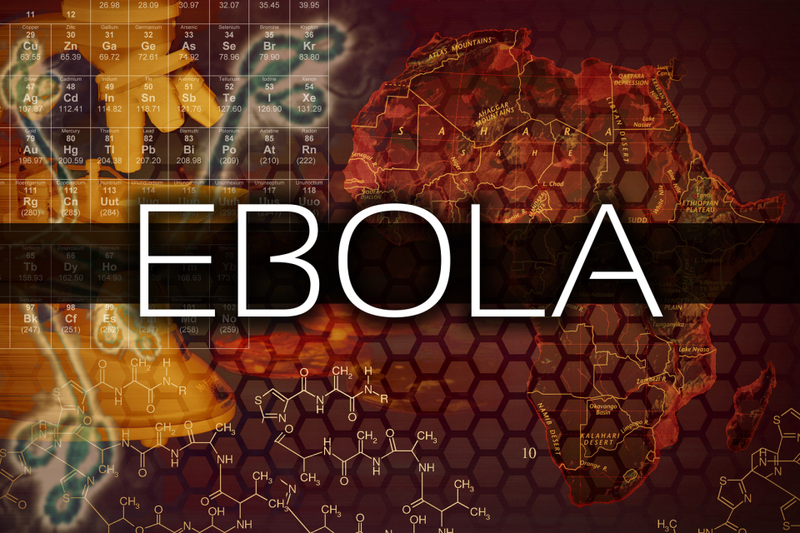 The U.S has four known cases of people infected with Ebola, of which one resulted in death. On average 50 percent of people who get Ebola die from it. God’s Word encourages Christians to serve God and others rather than focusing on self. It is certainly necessary to take proper precautions in our efforts to stop the spread of this disease, but it shouldn’t monopolize our thoughts and cause us anxiety. Christ reminds us that the second greatest commandment is to love our neighbors as ourselves (see Matthew 22:39). Help your youth look beyond the hype surrounding Ebola and show acts of love and compassion to our African neighbors fighting this disease. Question of the day: What is the most recent act of compassion you’ve witnessed? 2 So if there is any encouragement in Christ, any incentive of love, any participation in the Spirit, any affection and sympathy, 2 complete my joy by being of the same mind, having the same love, being in full accord and of one mind. 3 Do nothing from selfishness or conceit, but in humility count others better than yourselves. 4 Let each of you look not only to his own interests, but also to the interests of others. 5 Have this mind among yourselves, which is yours in Christ Jesus, 6 who, though he was in the form of God, did not count equality with God a thing to be grasped, 7 but emptied himself, taking the form of a servant,[a] being born in the likeness of men. 8 And being found in human form he humbled himself and became obedient unto death, even death on a cross. 9 Therefore God has highly exalted him and bestowed on him the name which is above every name, 10 that at the name of Jesus every knee should bow, in heaven and on earth and under the earth, 11 and every tongue confess that Jesus Christ is Lord, to the glory of God the Father. 16 By this we know love, that he laid down his life for us; and we ought to lay down our lives for the brethren. 17 But if any one has the world’s goods and sees his brother in need, yet closes his heart against him, how does God’s love abide in him? 18 Little children, let us not love in word or speech but in deed and in truth. 19 By this we shall know that we are of the truth, and reassure our hearts before him 20 whenever our hearts condemn us; for God is greater than our hearts, and he knows everything. 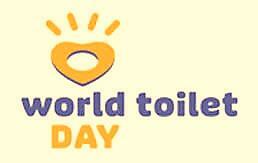 A toilet can be a lifesaving device for the more than 2.5 billion people who do not have access to basic sanitation. While the humble toilet may not be much on our minds, it is, in fact, a lifesaving device. Mike Barbee, technical officer for Water, Sanitation and Hygiene (WASH) for the United Methodist Committee on Relief (UMCOR), shows why in a video supporting World Toilet Day November 19. The Society of St. Andrew is a national nonprofit hunger-relief ministry that rescues about 30 million pounds of fresh, nutritious, excess produce each year that would otherwise go to waste for various marketing reasons. This food is then distributed to critical feeding agencies across the country at no cost to the agencies or the hungry people they serve. Central Church partnered with this worthwhile organization several years ago by providing volunteer labor to help glean apples from a participating orchard for use in their hunger-relief ministry. This year, the Society of St. Andrew has an extraordinary opportunity to put millions of additional servings of healthy food on the tables of our hungry neighbors. Can you help? Two weeks from today, on December 2, #GivingTuesday, (the Tuesday following Thanksgiving), every gift made online to the Society of St. Andrew will be matched! Generous potato growers have pledged to donate 10 pounds of potatoes for every dollar given to the Society of St. Andrew on December 2. This in-kind gift match, of 10 pounds of potatoes per dollar given, has been pledged by long-term Society of St. Andrew supporters in the potato industry. Currently, they have pledged up to 1.35 million pounds of potatoes, so gifts totaling up to $135,000 will be matched. With this gift match, you can share even more fresh fruits and vegetables with people most in need. On December 2, every nickel you give to the Society of St. Andrew will share four pieces of fruit or four servings of vegetables! Mark your calendar now, and plan to give generously on December 2, when your impact will multiply! Please help us get the word out about the #GivingTuesday Gift Match! Tell your friends and family, your co-workers, your neighbors, your Facebook friends and Twitter followers, your blog readers, and members and friends of your congregation. Thank you in advance for increasing your impact by giving to the Society of St. Andrew on December 2, #GivingTuesday, when every dollar you give will be matched by 10 pounds of potatoes. And thank you for spreading the word about this extraordinary giving opportunity. And thank you for partnering with the Society of St. Andrew to get good food to those who need it most! 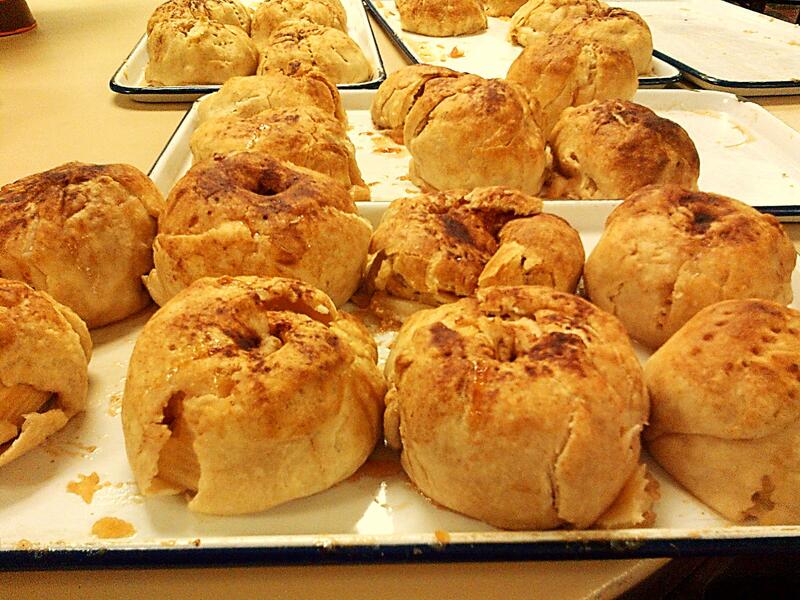 Wouldn’t you like a hot Apple Dumpling? 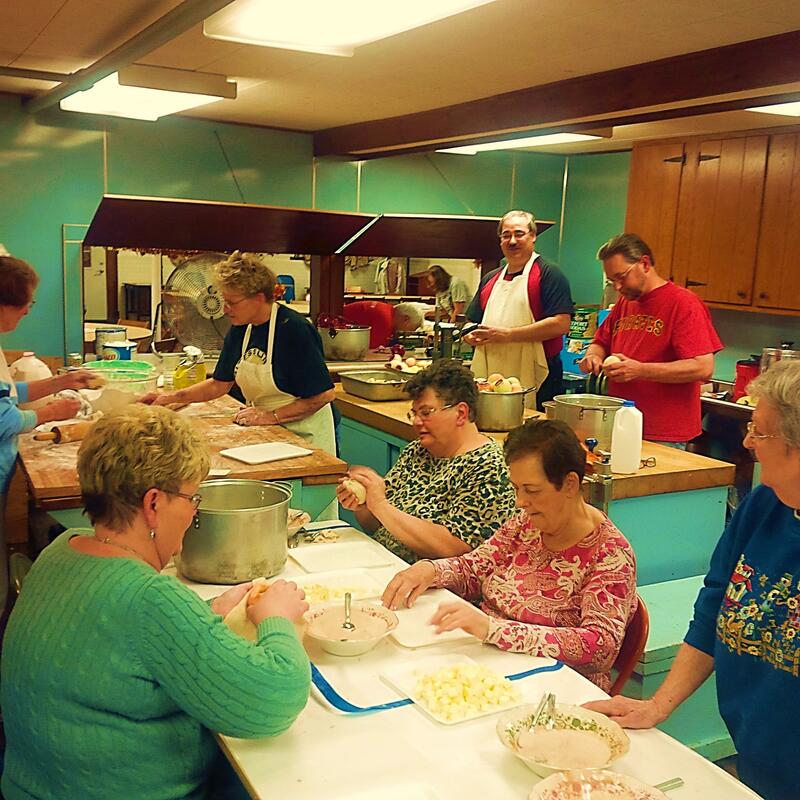 Central’s famous Apple Dumpling Gang is starting its last week of making our famous Apple Dumplings! This year, all dumplings are just $3 – baked, unbaked, or frozen. Call (724) 846-5072 to order, and come to the Church to pick them up on Thursday, November 21 from Noon to 12:30 pm. Don’t miss this opportunity to get these delicious seasonal treats or join us on Wednesday night starting at 6:00 to join in the fun and help make a few yourself! Join us at 10 am each Sunday, beginning next week on November 23! Shane Raynor published an article in Ministry Matters earlier today that reports that various news outlets are reporting two vigilante killings in the last couple of days over accusations of blasphemy, both in the Punjab province of Pakistan. 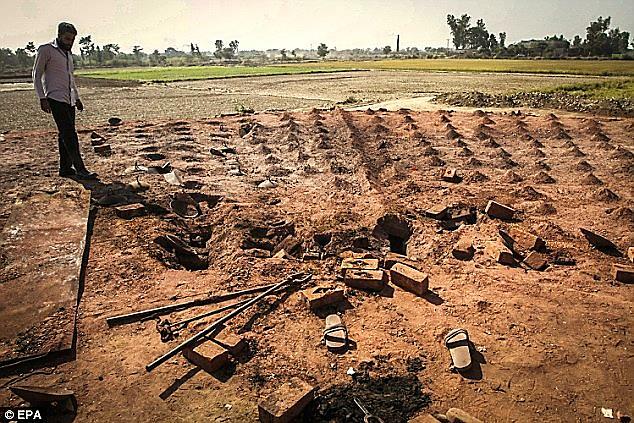 The first was a triple murder on Tuesday (November 4) — a young Christian couple and their unborn child were burned alive in a brick furnace by a mob who first beat the couple and broke their legs to prevent them from trying to escape. Their crime? Throwing out a dead relative’s Quran. The garbage collector found it and told the local cleric, who stirred up other clerics in nearby villages. After they all announced the couple’s “blasphemy” over their mosque loudspeakers, between 500 and 1,500 people showed up to attack the couple. 50 have been arrested so far. The second incident was Wednesday (November 5) and involved a 50 year old Shiite Muslim man who was killed by a policeman with an ax after being arrested for allegedly making derogatory remarks about Islam’s prophet Mohammed. Pakistan has a history of such violence against people who have been accused of speaking against Islam or its prophet. Politicians who challenge the blasphemy laws have been harassed and even assassinated. Judges have been attacked for acquitting those charged with blasphemy, and many Pakistani lawyers are afraid to defend anyone accused of the crime. And the vigilante persecution is only part of it. The government is in on it too. You may have heard of the Asia Bibi blasphemy case. A Christian mother of five was found guilty in 2010 of making blasphemous comments about the prophet Mohammed during an argument and was sentenced to hang. That sentence was upheld by a higher court last month. Her argument was with a group of Muslim women who didn’t want someone “unclean” drinking their water. 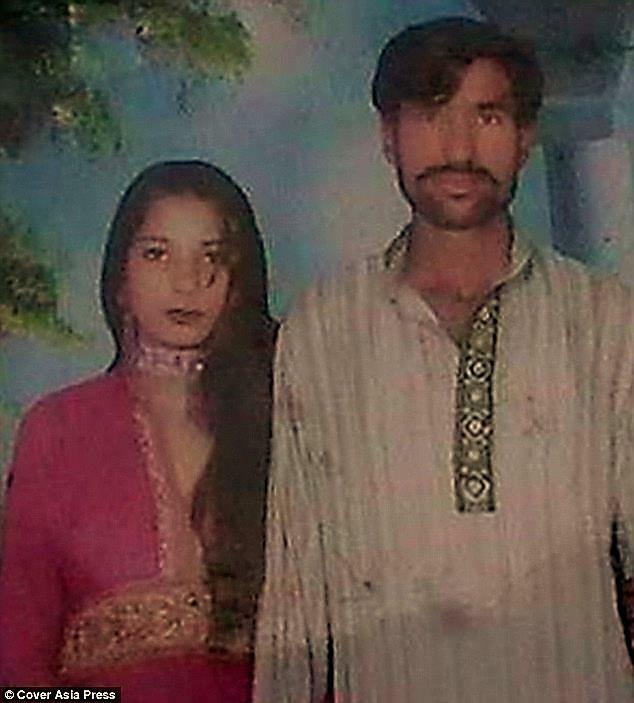 After Asia Bibi and her family were severely beaten by a mob, she was arrested and told that the only way to avoid death would be to convert to Islam. There are other incidents I could reference, and likely many more that never even made the news. So is this an Islam problem or a Pakistan problem? Before you answer, consider that Pakistan isn’t alone. There are other countries where insulting Islam or the prophet Mohammed is punishable by death, including Afghanistan, Egypt, Iran, Kuwait, Saudi Arabia, and Yemen. Many others allow for lesser forms of punishment, such as fines, beatings, or imprisonment. Many majority Muslim countries also have apostasy laws, and a significant number of those allow the death penalty for those who convert from Islam to another religion. A 2013 Pew Research Center survey reported that 88 percent of Egyptian Muslims and 62 percent of Pakistani Muslims support the death penalty for Muslims who leave their religion. A majority of Muslims in Malaysia, Jordan, and the Palestinian territories hold the same view. In other Islamic countries, the percentages are lower, but the numbers are still significant. These statistics seem to indicate that this goes beyond isolated extremism. And it’s probably one reason why the “religion of peace” descriptor affirmed by U.S. President George W. Bush in September 2001 is baffling to so many people. In the last part of 2014, the Islamic faith finds itself at a crossroads. With more news outlets than ever, fewer of these kinds of stories are going unreported. This means that the pressure will likely build for Islam to confront its own demons. Lines are going to be drawn. More peace-loving Muslims are not only going to have to acknowledge that there’s a dark side to their religion, they’re also going to have to help do something about it. For those of us who are Christians, let us remember in prayer the families of all those mentioned above who have suffered, while we also seek guidance from God on the appropriate Christian response as such situations become increasingly frequent. The Rev. 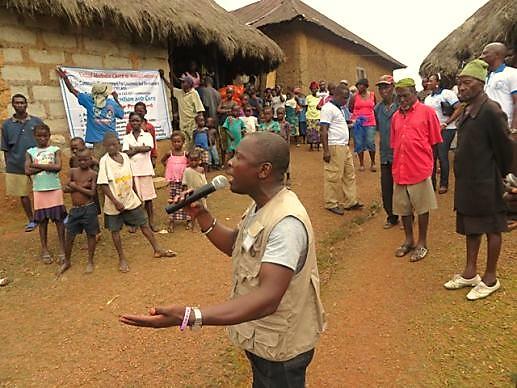 Michael Gbenday gives an educational program about Ebola in Mende, the local language of the people of Moyollo village in Sierra Leone. Five months after Ebola began to escalate in West Africa, United Methodists have refined the tactics they hope will slow it to a halt: protection, education, support and prayer. While Ebola’s impact has been as devastating as a hurricane or earthquake, the epidemic has required religious and humanitarian groups to look beyond traditional disaster response and devise new strategies. United Methodists in Liberia, Sierra Leone and other countries organized themselves to respond both as a denomination and as interfaith and community partners. Various forms of communication – text messages, radio broadcasts, drama and song – have been used to relay facts about Ebola. Church-related health centers and health care workers have worked on the front lines of treatment. Prevention information and sanitizing supplies have been carried to remote villages. Food and supplies have been left at the homes of infected families. To date, UMCOR has dispersed $401,138 in grants for the denomination’s Ebola response from the agency’s International Disaster Response fund. 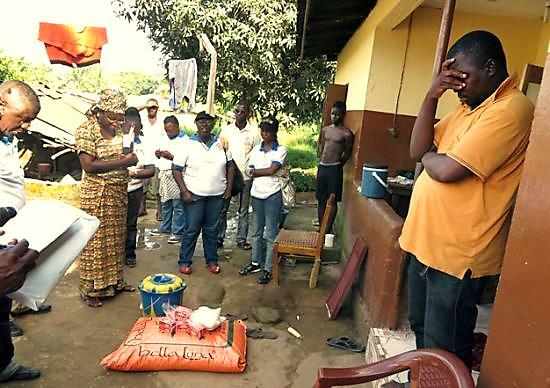 As of Nov. 7, UMCOR had received $235,748.87 in specific donations for Ebola. The rapid spread of Ebola in Liberia and Sierra Leone prompted the denomination to consider its most effective role in containing the outbreak, said Dr. Olusimbo Ige, senior program manager for Imagine No Malaria and Global Health for the United Methodist Board of Global Ministries. Médecins San Frontières (Doctors Without Borders) and the African governments are handling the existing Ebola cases, she noted, and the church cannot compete with larger organizations, such as the World Health Organization, Centers for Disease Control or UNICEF. The answer to that question: Using the church’s connections and its position of respect to help support and educate people about Ebola at the community level. The United Methodist response has been coordinated with West African church leaders and the health boards of the denomination’s conferences in Liberia, Sierra Leone and even Cote d’Ivoire. The church’s health facilities, missionaries and other church agencies are also involved. Weekly telephone calls that include the bishop, health board chair and health coordinator for each conference have helped United Methodists in Liberia and Sierra Leone set Ebola-related priorities and work through the grant process, Ige said. A Nov.7 joint letter on Ebola from the Council of Bishops and Board of Global Ministries noted the collaborative work with West Africa episcopal leaders and health boards pointed to the church’s “front-line opportunity and responsibility for palliative and preventive service” in response to the Ebola crisis. Global Ministries is placing three of its veteran missionaries – Mary Randall Zigbuo, Helen Roberts-Evans and Priscilla Jaiah – on special assignment for the next six months to respond to the Ebola emergency. The trio, who received a special blessing at the board’s New York headquarters, left Nov. 6 for Liberia. Beatrice Mamawah Gbanga, a missionary based in Sierra Leone, continues to lead Ebola response efforts there in her role as the conference’s medical coordinator. An historic text message regarding the Ebola outbreak is sent via mobile technology from Bishop John G. Innis to 20 United Methodist district superintendents in Liberia. Transmitting the message from the offices at United Methodist Communications, Nashville, Tenn., are (from left) Jill Costello, project manager, and the Rev. Neelley Hicks, director, ICT4D Church Initiatives. Through activity-focused grants, UMCOR is “doing what we can” to support the work of the health boards and various partners, Amick said. 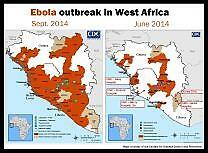 What has not diminished is the need to educate a fearful population about Ebola to slow the spread of the disease. The church has become a major proponent of the use of education as a prevention method. Thanks to donations to the International Disaster Response Advance, UMCOR is funding the grants more quickly, Amick said. Money can be distributed within 10 days to two weeks after a grant proposal is submitted if the paperwork is in order. Distribute 400 personal protection kits and provide funds for gloves and gowns at United Methodist health facilities in Liberia. Distribute 400 personal protection kits, along with other supplies, to United Methodist health facilities; construct a holding unit at Mercy Hospital; train 200 health workers about Ebola and provide public awareness messages to impacted communities in Sierra Leone. Implement an Ebola public awareness campaign and purchase supplies for United Methodist health facilities in Cote d’Ivoire. In addition, GlobalMedic used an UMCOR grant to distribute 38,000 face masks, 3,800 protective suits and 60,000 pairs of gloves in Sierra Leone and Liberia, along with essential medicines and five pop-up tents for use as holding units in each country. ACT Alliance in Liberia provided funding to support training for 70 trainers on Ebola awareness and to hold prevention workshops for 960 participants. Recently, the Liberian church received about $20,000 from United Methodist Discipleship Ministries, formerly the Board of Discipleship, and the United Methodist Church in Germany. 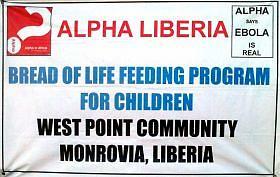 The money is intended to address the acute food insecurity that is now facing every Liberian, said the Rev. George Wilson, chairperson of the church’s anti-Ebola task force. Each district superintendent was expected to receive $500 by Nov. 10 to buy food items to distribute to church members. Church staff and others also will receive food assistance. “We are aware of the enormous role our global partners are playing in Liberia as the Ebola virus continues to ravage our country,” Wilson said during a recent meeting of the task force. Another role for the global church is to work to prevent “future recurrences” of such infectious disease epidemics, says the denomination’s social justice agency. A Nov. 10 statement from the United Methodist Boar of Church and Society emphasized the need to eliminate underlying issues — such as adequate health care, better infrastructure and debt relief – that helped fuel the current Ebola crisis. Donate to UMCOR International Disaster Response, Advance #982450. The Centers for Disease Control (CDC) recently broadcast a call for church and community leaders who need to understand more about Ebola, the deadly virus that has claimed thousands in West Africa and now has made its way to the United States. A person can only spread the disease if they have symptoms, such as fever or signs of illness. Ebola doesn’t spread through the air (it’s not “aerosol transmitted”). If people are in contact with the bodily fluids of a person who is actively ill—blood, urine, or diarrhea, for instance—a person could touch those substances and touch their own mucus membrane (eyes, mouth, small cut, or laceration), leading to infection. Past data about this disease indicate it is spread by direct contact, not through the air. Available data continues to support this. The virus itself infects multiple organ systems in the body. Symptoms include: fever, severe headache, muscle pain, weakness, diarrhea, vomiting, abdominal pain, and hemorrhaging. It can cause stomach pain and nausea. People can’t support their blood pressure. It’s a body wide activity because the virus multiplies throughout the body. One thing clinicians have noted is that a person infected with Ebola has a lot of difficulty holding onto his or her bodily fluids. People can lose between 5 to 10 liters of fluids a day. There is a lot of potential for infectious waste being dispersed during this time. The treatment for Ebola is mostly supportive. People receiving treatment are in intensive care, on IV fluids, on oxygen to help them breathe, and medicine to support their blood pressure. The idea is to help the person’s own immune system so that it can support itself. There aren’t well-known or good treatments for this infection—there are no antibiotics. There are a small number of experimental treatments available and the doctors aren’t sure if they work or if they’re safe. Sometimes it’s worth the risk to try it, but the care is usually supportive. Is Ebola coming soon to a city near me? It’s important to remember that although the situation is much worse in Africa, there are very limited cases in the United States, and they resulted from coming in very close contact with someone who is infected. Remember, this is very different from flu season. What’s being done by the CDC to stop Ebola? The CDC is doing a lot of work in this area. A good bit of effort is focused in Africa—there are hundreds of staff working in West Africa, and the CDC plans to send more. Genuine compassion is part of the reason these people are over there—public health and compassion, teaching about the disease, and so on. But there’s also a practical reason—by controlling the epidemic at its source, it’s less likely to come over and spread. First, help decrease fear and educate people in the community on this infection. Second, decrease the stigma about the disease. In Dallas, the CDC needed to follow the contacts of people who the gentleman from Liberia came in contact with. Those individuals were afraid to leave their apartment because they were being followed and receiving threats. The CDC had to work with the community to reduce stigma and help people be compassionate. People are even being stigmatized because they appear to be from West Africa. Also, build resilience in the community. Contribute to local networks and food banks. Get food from food banks for people who have been stigmatized. These charitable networks are helpful in any type of emergency. Lastly, it’s important for church leaders to promote general good health. Promote basic public health efforts, like getting flu shots and washing hands. Tell people, “If you feel ill, stay at home—even if you have the flu or a stomach virus. It’s just better not to go out anywhere because you could possibly spread your disease to others.” This kind of encouragement can go a long way toward preventing the spread of any disease. Many churches and organizations want to help by sending mission teams. However, this might not be wise. Liberia, Sierra Leone, and Guinea have all been labeled “Warning Level 3” by the CDC. The Congo has been labeled Level 2. Level 3 means churches and organizations should limit all nonessential travel to these areas. The current situation in Guinea, Sierra Leone, and Liberia is not only marked by the Ebola outbreak but also “instances of civil unrest and violence against aid workers [being] reported in West Africa as a result of the outbreak. The public health systems in the affected countries are being severely strained as the outbreak grows,” according to the CDC website. Travel at this time is not advised until the situation is better controlled. Only travel with authorized health organizations. The professional staff in these groups are not only trained to handle these situations, but also can help with trip preparation. Due to the high threat level surrounding these countries, travel restrictions are in place for not only entering, but also exiting. The health organizations can assist with arrivals and departures. See a travel medicine provider 4 to 6 weeks ahead of time. This visit will give trip participants the ability to make sure they are physically able to handle the stress as well as get all the required vaccines needed before they leave. Pack a health kit with over-the-counter medicines and alcohol-based sanitizer. Pack personal protection equipment (PPE). This includes masks, gloves, eye protection, and some kind of body covering. These things will help limit exposure to possible infection, since Ebola is spread through the direct contact of body fluids from an infected person showing symptoms. Make certain the organization coordinating the travel has established a plan for getting back to the United States if a team member somehow gets exposed to Ebola. Follow all infection prevention possible. Wash hands frequently with soap or an alcohol-based sanitizer. Properly dispose of all materials used to treat anyone carrying the symptoms of Ebola. Symptoms can appear up to three weeks after exposure to Ebola. Anyone who experiences these symptoms, or comes into unprotected contact with someone experiencing these systems, should immediately tell someone in the organization. Team members should monitor their health and those around them. Upon returning to the United States, expect an extensive screening process to ensure no one is a contagious carrier of Ebola. Team members should see their doctors as soon as possible for a checkup and symptom monitoring once they return home. *Note, we recommend that unless you are a professional medical expert with a notable aid organization, you stay out of the countries affected by Ebola. 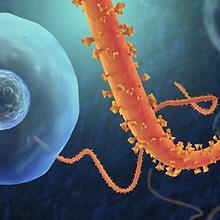 More information on Ebola is available at cdc.gov. Our church is spreading the warmth of Christ’s love this season. By remembering to shop through UMCmarket, you can help our ministry. With winter on its way, you can shop for all your cold weather needs and donate at the same time. Ebola cases are rising sharply in Sierra Leone with 111 new cases reported Sunday, November 9. Mohamed Dumbuya is overcome with emotion when the team from The United Methodist Sierra Leone Conference arrives with gifts of food and words of consolation for the passing of his wife, Mariatu Kamara, who recently died from Ebola. 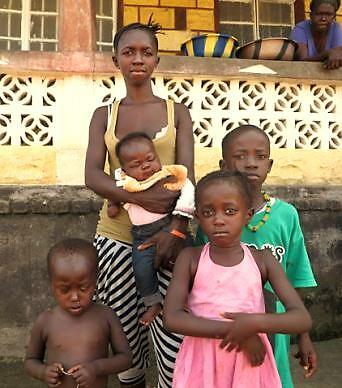 The Ebola virus has taken the life of the husband of Hassanatu Jalloh, leaving her with four children to support.